This collection is named for the late Reverend Oscar Creech of Ahoskie, North Carolina, Baptist pastor in the Roanoke-Chowan area. 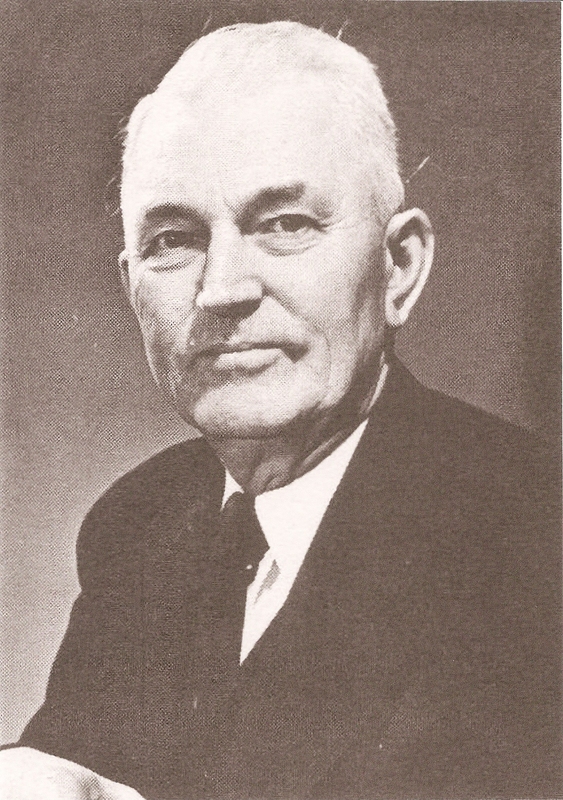 He was a member of the Chowan University staff and a co-author of A History of Chowan College. 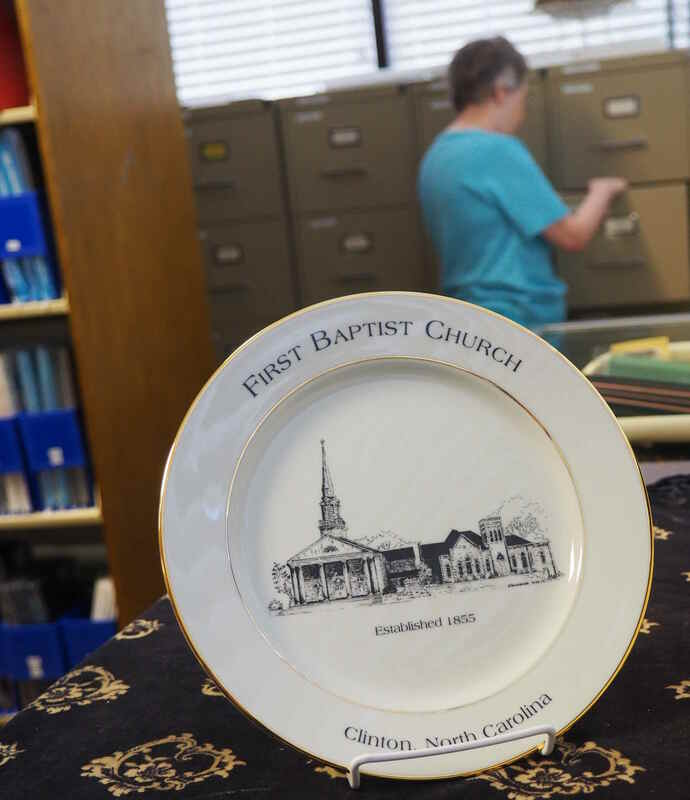 The purpose of the Oscar Creech Collection of North Carolina Baptist Materials is to collect, organize, make available, and preserve records of research materials relating to Baptist history, including local and regional associations. The Creech Collection seeks materials, especially minutes, from the Baptist churches in the area. It will attempt to maintain full runs of the North Carolina and Virginia state Baptist newspapers, as well as Baptist convention annuals from North Carolina, and Virginia, It will attempt to collect church histories. To either use this collection or donate to this collection contact, Linda Hassell at hassel@chowan.edu or (252)-398-6586. 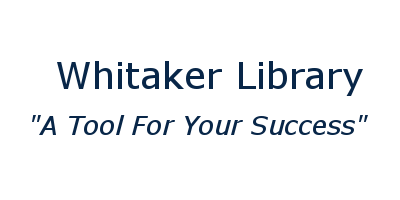 The Creech Collection may be searched through the Whitaker Library online catalog. The Biblical Recorder is an official publication of the North Carolina Baptist State Convention. 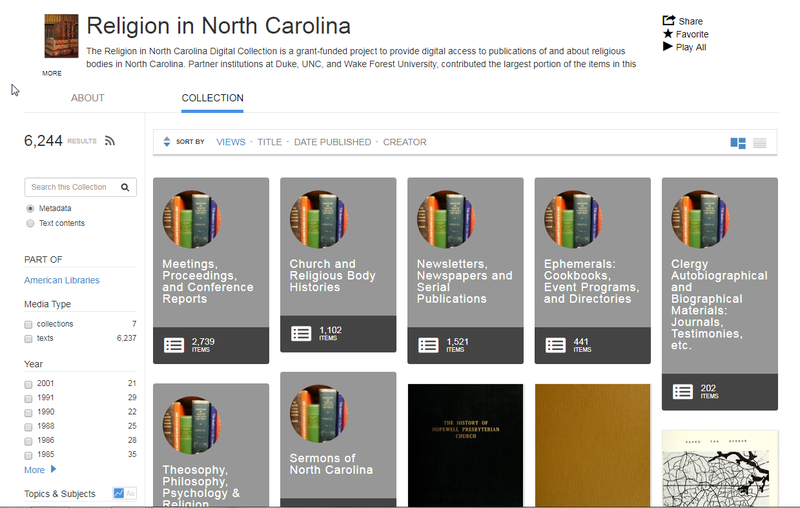 This collection was digitized by the Z. Smith Reynolds Library at Wake Forest University. 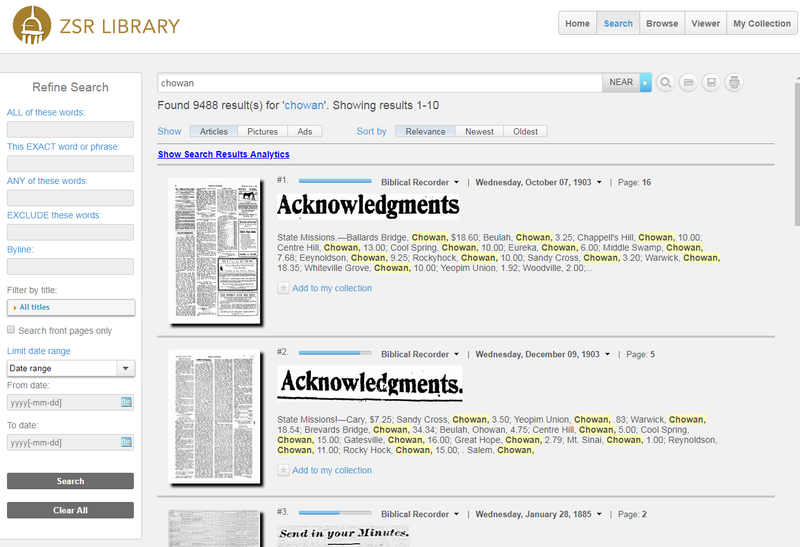 The Internet Archive has digitized historical documents from churches across North Carolina, including meeting minutes, and church histories. If you do not find the information you are looking for online? Check the Creech Collection for access to print materials.